Seduced by the south-west? You’re not alone – but choosing a specific househunting location can be tricky. How to narrow your search area with tips on climate, community and value for money - my article featured in the November issue of French Property News. Many visitors to France fall under its spell, entranced by the relaxed lifestyle, superb weather, fabulous countryside, mouthwatering food, good-value wines... I could go on and on. 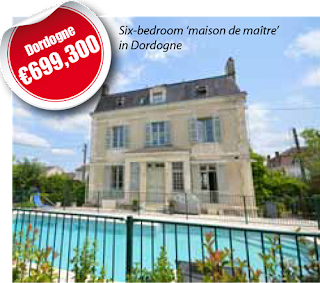 They then start thinking about buying a house here: sometimes as a maison secondaire, but often as a main residence and an alternative to the bustling lifestyle in the UK, and also because France offers so much more for your money. Even within a target area such as ours (the south-west) there are so many variations and options to explore – but before your visit, you need to do your homework. France has recently redefined its regional maps and, as a consequence, new regions have been created and old names have started to be used. The former regions of Poitou-Charentes and Aquitaine have been merged to form Nouvelle Aquitaine, while Midi-Pyrénées has been absorbed into the large region called Occitanie. To confuse matters, Occitanie includes Languedoc-Roussillon which previously fell into south-east France. What could influence your choice of area? The most important decisions perhaps concern how near to the coast you want to be, how rural or how much part of a community, and the climate that you desire. France has several microclimates and some areas can have significantly better temperatures or rainfall levels than neighbouring towns. It is also important to consider communication systems and the proximity of airports, ferry ports, rail services and motorways. I think it’s fair to say that the popularity of Poitou-Charentes boomed in the period 2001-2006 as the area was opened up to UK buyers with cheap flights into La Rochelle, Poitiers and Limoges, plus an excellent TGV service. Importantly for buyers, though, the area is well south of the Loire Valley, often considered the threshold for better weather. One other important factor that many buyers consider is value for money. Limousin is popular for this, an area of real beauty bordering the Massif Central. But beware: there is a world of difference between ‘cheap’ and ‘value for money’, and there’s normally a reason for prices in one area being substantially lower in comparison to a neighbouring area. The weather in northern parts of the department of Corrèze, for example, is strongly influenced by the proximity of the Massif, with towns such as Treignac and Uzerche getting their share of snowfall and frosts in the winter months. Further south in Beaulieu-sur-Dordogne, for example, the climate is much softer, hence the town and surrounding area are known as the ‘Limousin Riviera’. Non-savvy buyers could be tempted to buy what appears to be a ‘bargain’ property an hour or so north of Beaulieu, which looks on the face of it a very comparable property for a significantly lower price. But they could be paying over the odds due to regional price variations, and face difficulties in the future when they come to resell. 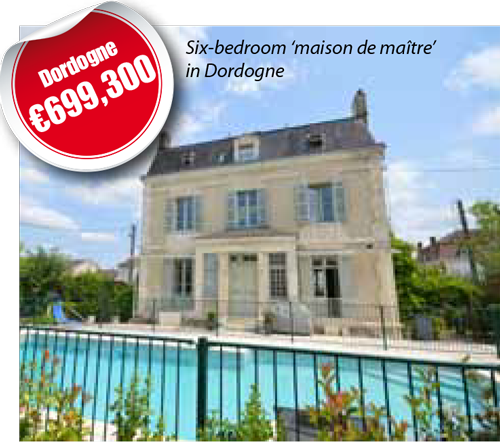 An example of an attractive purchase in Limousin representing good value for money is a pair of houses near Meyssac for €375,000. The property offers rental income potential, a lovely pool area, and there are six Plus Beaux Villages within a 30-minute drive. Another good-value area of south-west France is the Périgord Vert, consisting of 78 communes, mostly in the Dordogne, with a large part comprising the Parc Naturel Régional Périgord-Limousin. The park covers a surface area of 1,800km2 and is fed by three great rivers: the Vienne, the Charente and the Dordogne. Due to the variations in elevation (85-556m above sea level), the park possesses different natural habitats such as moors near Champagnac-la-Rivière, bocage (mixed woodland and pasture), meadows near water courses and wonderful forests of principally chestnut and oak. South of Mareuil you encounter heathland and dry grassland, and there are also lots of little pools and lakes. The climate in the park is temperate but it can show local variations: in the north-east the climate is generally continental, whereas in the south-west it is maritime. Some protected south-facing slopes can even possess a sub-Mediterranean climate, so local knowledge is important and can make a big difference. We are currently marketing a 19th-century farmhouse, renovated to the highest standard and set within a tranquil corner of the Périgord Vert. 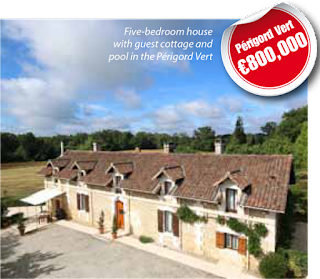 In addition to the five-bedroom principal house, this property also offers a renovated guest cottage, pool, landscaped gardens, 350m2 barn (incorporating a garage and workshop), stable block with hayloft above and some two hectares of land – all for under €800,000. 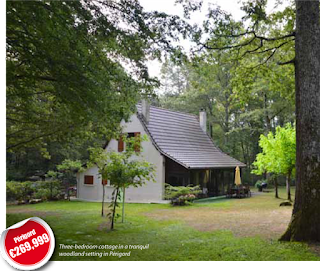 One safe way to choose a location is to opt for the popular spots of Charente or Dordogne, which have been favourites with British buyers for decades. Charente is, in fact, one of the original 83 departments created after the French Revolution in March 1790. Cognac and pineau are two of the area’s renowned products – along with butter – but, for many visitors, the lasting impressions are of the superb fields of sunflowers that dominate the rolling countryside. The vines of the Grande Champagne are also a wonderful sight, and there is even a university in Segonzac to help students learn how to taste cognac. Visit it and you will be invited to taste five samples of different ages and, to cap it all, you will leave with a certificate awarded by the university. Prices around the most popular Charentaise towns of Cognac, Jarnac, Barbezieux and Angoulême tend to be highest, so you need to go more rural to find better value for money. One property that we have previously sold and that is now available again is a modern house near Vouzan, 10-15 minutes’ drive east of Angoulême. An immaculately presented bungalow, it boasts four to five double bedrooms, a magnificent terrace overlooking the gardens and a pool, available for €399,995. Buyers in Charente should be aware of existing wind farms and the plans tobuild more in some areas. Some agents disclose where the planned projects are while others can be economical with the truth – windmills do certainly impact upon price, but quite to what extent is difficult to prove. €699,300. Such properties, in a town and close to all facilities such as schools, shops and restaurants, are hard to find for this budget. If your budget is smaller, how about an enchanting woodland cottage with three bedrooms, in a tranquil setting with the chance to get close to deer, wild boar and woodpeckers? A woodland path provides a mesmerising walk to the pond among oak and beech trees, and this area is a delight in the spring with an abundance of wild flowers including primroses, violets and bluebells. In summer there are wild strawberries and in the autumn many varieties of mushroom including the highly prized cèpes – the Périgord summed up perfectly, all for €269,999. France does occasionally experience extreme weather, so be wary of areas that come under the influence of strong winds such as the Mistral and Tramonte; the latter affects the coastal region from Perpignan to Narbonne, created by the difference in pressure between the cold air of a high-pressure system over the Atlantic and a low-pressure system over the Mediterranean. The high-pressure air flows south, gathering speed as it moves downhill, and is funnelled between the Pyrénées and the Massif Central. One area near the Massif Central has experienced a 41°C difference between its minimum and maximum temperatures during a single day – this is quite an extreme, and will not suit many. Extreme high air temperatures can contribute to cardiovascular and respiratory disease, while pollen and other aero-allergen levels are also higher in extreme heat. 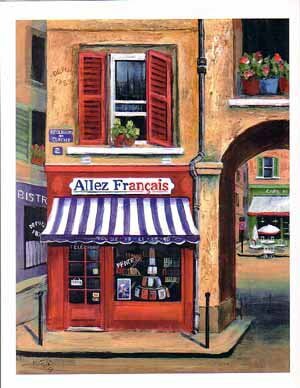 Village life in France can be a bit like turning the clock back 50 years in the UK: when you walk into a shop or bar, everybody speaks and acknowledges you. It gives you a chance to be part of a community. Be cautious about going too rural though, as you can easily become isolated, and think ahead to the future a little – you may be able to manage several flights of stairs today, but what about in 10 years’ time? Also don’t forget that French property buying fees will add around 15% to the property sale price (notaires’ and agents’ fees plus stamp duty), so it’s an expensive business if you get it wrong the first time. 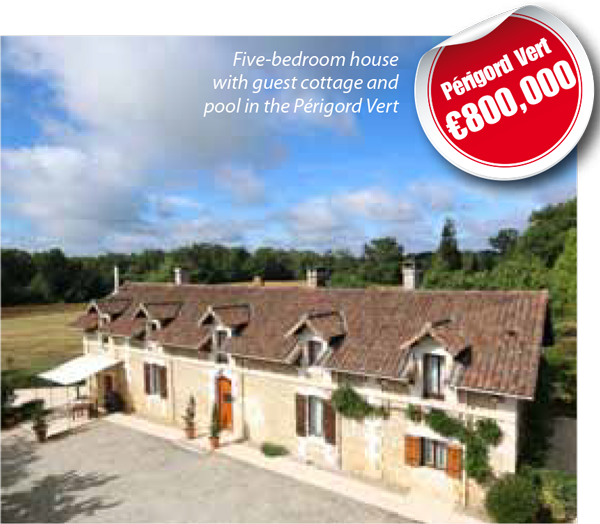 The idea of living in the French countryside is certainly seductive, and working closely with a reputable agent can save you a considerable sum. Choose agents who live in the heart of the area where they operate and, as such, are part of the local community – their local knowledge can be an invaluable tool in your property search. A property in decent condition in a popular area is likely to be a better choice than an exceptional property in a less desirable location; opting for the latter is one of the most frequent mistakes that buyers make in France. If possible, visit a shortlisted property several times at different times of the day, which will help to indicate factors such as traffic and sunlight. Bear in mind that the position of the sun varies tremendously as the seasons progress. Getting out of the car and walking around the immediate environs is also a top tip. This may give you an opportunity to meet potential neighbours, but will also give a better feel for what to expect from the environment, such as church bells, cockerels crowing or a railway line. The recipe for success is research, research, research; location, location, location; and a generous pinch of a good agent. The reason for that ‘location, location, location’ saying is, simply, that it’s so vital to a buying decision that it should take up the top three spots on the list of things to consider! Hopefully, you now have a better idea of what you need to be considering for your search.